Good day. My name is Viktor Matys. 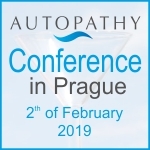 I am a graduate of the Homeopathic Academy in Prague, where I also received basic training in autopathy. In the interview she also tells me that she is divorced since years and has a child living with her. Currently she does not have a partner. She complains that her friends use her often as a “hollow willow” and confide her everything, even their infidelities, which they are sometime proud of. She says: “I walk then with my dog in the forest, everything goes through my head and I don´t know what to do. I often know the husbands as well and it is all terribly unpleasant for me”. She has an unusual physical symptom – she does not sweat at all. When she warms up, she gets red, but does not sweat. I immediately thought of the homeopathic remedy Natrum Muriaticum, which has a problem with relationships and its partner is – figuratively speaking – somewhere far away. They often become “willow trees”, because they can listen and keep a secret. The subject of keeping demonstrates itself in the non-sweating. At this time, I was just getting to know autopathy. I had been trying it on myself, but somehow could not offer it to others. But I was closer to homeopathy after all. On the other hand, I already knew the autopathic detoxification method, when autopathy prepared with boiled breath is applied for the period of four weeks, the potency is increased every day and each cycle is ended with a higher potency from non-boiled dilution. The fact that the client has lung chlamydia had led me to try the autopathy method. The client had agreed to autopathy without hesitation. This was a lesson for me too, the fact that when one does not make much fuss about it, everything takes its natural course and is easier. And so we used the four-week detoxification cycle. I also had a homeopathic remedy in reserve and planned to use it later. We agreed on a follow-up consultation in 6 weeks, to allow it, so to speak, to settle down after the detoxification cycle. During the consultation the client stated that all this time she felt sorry for the water, flowing through wasted (another interesting symptom, isn’t it?). She says that except the first application it does not do anything with her. She applied autopathy for the first time in the morning, before she left for work. In the afternoon she was overcome by a terrible tiredness and was worried whether she will be able to drive home in this condition. It is a normal manifestation of the organism starting the detoxification. The expelled toxins flood the organism for several hours – and poison it a little – before they are excreted with urine, stool, sweat… That is why the tiredness. We know it in autopathy and homeopathy well. After the expulsion of toxins, one feels markedly better. Three weeks later she went for a medical examination because of the chlamydia. She had made the appointment already before she came to see me. And so the control suited us, although I would have wished it to take place a little later. Never mind. The result of the examination was that she does not have the chlamydia anymore. I also asked her during the consultation, how is it with her friends. She smiled and told me: ‘I know now how to send them away. Not quite so, but when one of them starts again, I turn the conversation to something else. Or when one of them started nattering something over the Skype, I disconnected it and did not register online again’. The reconciliation of relationships is another quite frequent result of holistic healing, to which autopathy belongs. Sometime the relationship is tense, other times the client suffers under a dictator. It is interesting that the reconciliation does never take place on the level of retribution, or “now I will show him!” but that the solutions are mild and do not create problems for the future. It is something so amazing, so that the clients often do not believe that it could have some relation to the autopathic healing. Another problem that she had at the beginning was that her body did not know how to sweat. When I asked her about it, she replied, seemingly irritated, but with a smile: ‘Here I also have to thank you.’ One could see that sweating is not something that she would be happy about, but that she is aware that it is a function indispensable for the health of the body. Besides, her sweat is normal, does not smell, is healthy. What still remained was the problem with her thyroid gland. She should have an examination in two months. We decided that in view of the current results we will wait with the homeopathic remedy. The dynamics of the healing processes could still be taking place and it may be wrong to intervene with another medication. After this I had not seen the client. About 5 months later, I have learned over a common acquittance that also the thyroid gland was in order and that her enlightened physician had not insisted on her taking further drugs. All this was an important lesson for me – that autopathy is at least an equal method to homeopathy. I already knew cases of total cure with the aid of autopathy, but it is only when one experiences it in the own praxis that something in him definitely turns. In a positive sense, of course. Up to this time we can note a large success. As the poet says: ‘The storm had ended, the clouds are gone, the sun is shining again, the birds are singing…’. The case had an interesting sequel. I met the client per chance two years later. And immediately she told me that everything came back again. This was not good, but also not unusual. Simply a relapse. I was only surprised why she had not contacted me when the complains started coming back. She replied: ‘I totally forgot’. This is very unusual, isn´t it? To totally forget after an almost miraculous success. We sometime meet with this paradox in our praxis. I think a lot about it, why this happens. As if people would relate more to their complaints than to their healthy state. As a Buddhist of many years I see it as an issue of karma. And then there is the often-discussed subject if it is correct at all, when through healing a person becomes healthy as if gratis, when otherwise he or she would have to honestly live up to it. And I include in my considerations also the clients whom we all probably like. These are people, who work on themselves and visit us in the frame of this work. All this encompasses the conglomerate of my considerations. I have the experience from meditation, that some – let us call it shades of the soul – rapidly disappear thanks to the meditation. Introspection itself has a strong healing effect. But not so much in terms of health, but deep inside, related to how life is seen. Well, it is perhaps a too big a theme. I have a hypothesis, which applies not only to the already mentioned cases, but also to work on oneself: Our complaints have always a root somewhere. When the root is outside, then it is an outside influence and we can get rid of it relatively simply. One has to just become aware of it either during the meditation or strike at it with correct healing. With the root then disappears everything that became tied to it, attached to it over the years. These are the miraculous cases of complete healing – from the body, over the mind, till the relationships. When it loses its hold, where should it prevail? On the other hand: a root can be rooted also in our own karma. Actually, it is not rooted there, it is the karma. Such cases do not respond to healing, or, as in the above-mentioned case, the cure takes place, but after the relapse the client simply does not remember. By and large, something in life we also have to earn. Unnecessary masochism aside. It is rather a case of our therapy taking a course outside the moment of understanding – that Aha! Moment – and much too quickly. One has to return to it. After one had gone through this realization, one’s life definitely changes, even without own intervention. Sometime we grow wise alone and without help. The Zen master Kyong Ho told his pupils not to strive for perfect health, because in perfect health laziness and insatiability hide. He said: Make your medicine from your illness. It is clear, how he meant it. Let our clients follow their own life path. It suffices to do the best that we can.